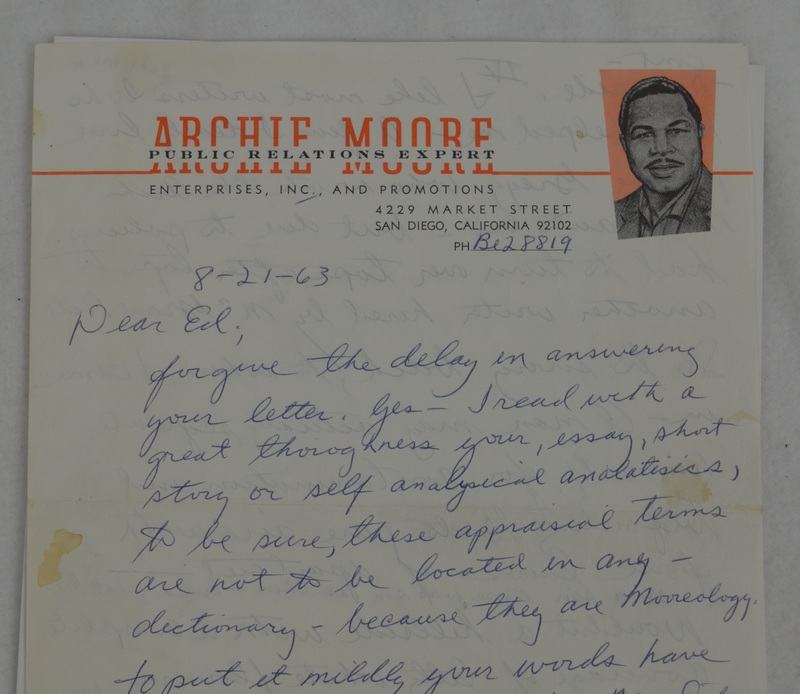 Vintage Archie Moore 2-page handwritten letter dated August 21st, 1963 on Archie Moore Public Relations stationary. Moore was light heavyweight boxer and the longest reigning World Light Heavyweight Champion of all time (December 1952 – May 1962). 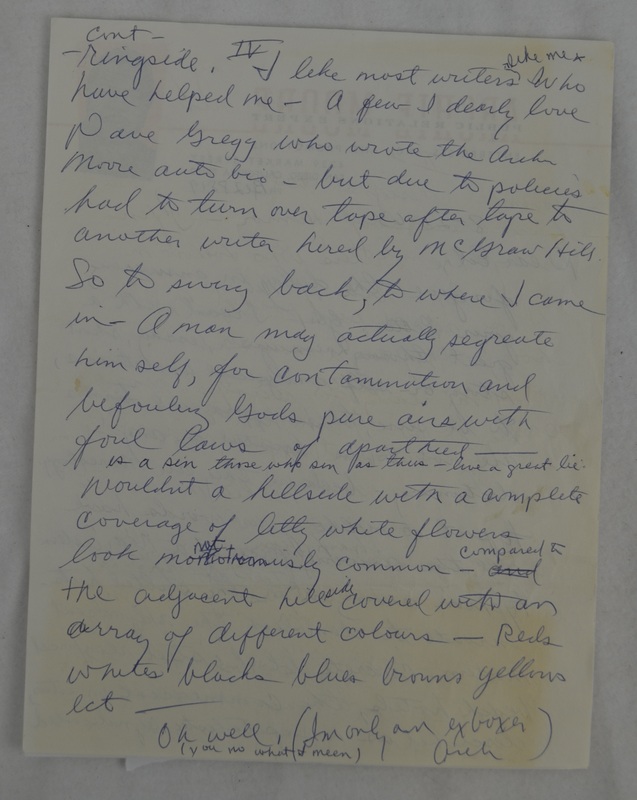 He had one of the longest professional careers in the history of the sport, competing from 1935 to 1963. Moore was also a trainer for a short time after retirement, training boxers such as Muhammad Ali, George Foreman and James Tillis.